Mother’s Physical Health Before Delivery Matters: What Happens and Why? There has been a significant rise in late preterm births globally ; it is the leading cause of death in children under the age of 5 years . Disparities in survival rates around the world are glaring. In poor countries, half of the babies born at or below 32 weeks die due to a lack of appropriate care such as warmth, breastfeeding sup-port, and basic care for infections and breathing difficulties. In high-income countries, almost all of these babies survive . The incidence of late preterm delivery and the contribution of multiple pregnancies appear to be growing. Increases in multiple births, obstetric intervention, and improved accuracy of measurement of gestational age have contributed to a rise in the incidence of late preterm delivery . The approach to management of births in the late preterm period varies; it includes health education, health advice, and medical management such as glucocorticoids to decrease the incidence of neonatal respiratory distress syndrome (RDS) [5–8]. 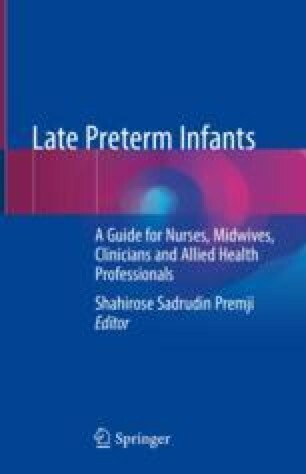 Previous findings endorsed imminent delivery if mothers were to go into labor during the late preterm period; however, recent literature has shown that expectant management of labor in the late preterm period is an acceptable alternative to care as compared to immediate delivery [5–7]. Statistics Canada. Preterm live births in Canada, 2000 to 2013. https://www.statcan.gc.ca/pub/82-625-x/2016001/article/14675-eng.htm. Accessed 17 Oct 2017. World Health organization (WHO). Preterm birth. 2017. http://www.who.int/mediacentre/factsheets/fs363/en/. Accessed 2 Feb 2018.